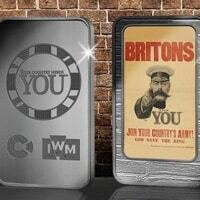 You can get a free Exclusive WW1 Silver Plaque to commemorate the 100th anniversary of the end of WW1. To get your free plaque click the linked page and fill in your details. Click GET IT HERE and add your details, you will have to pay £2.50 postage to receive this amazing plaque.